INVESTMENT & DEVELOPMENT: What’s happening in Cork City? 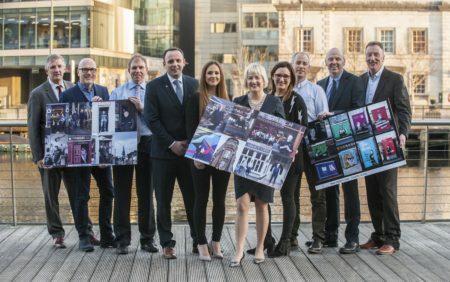 By TheCork.ie on 23rd March, 2018 Comments Off on INVESTMENT & DEVELOPMENT: What’s happening in Cork City? More than €700 million is currently being invested in Cork’s city centre by private and public sector organisations. The developments, which include a number of multi-functional sites encompassing retail, office, education, culture and tourism, are driving growth and confidence in Ireland’s second city. Matching this financial investment, traders, retailers, hoteliers, city residents and businesses have been successfully working together to revitalise the city quarters, with the support of the CORE partnership which brings together Cork City Council, Cork Chamber, Cork Business Association, An Garda Siochana, Bus Eireann, Cork City Centre Forum as well as representatives from the hospitality sector and businesses across the city. 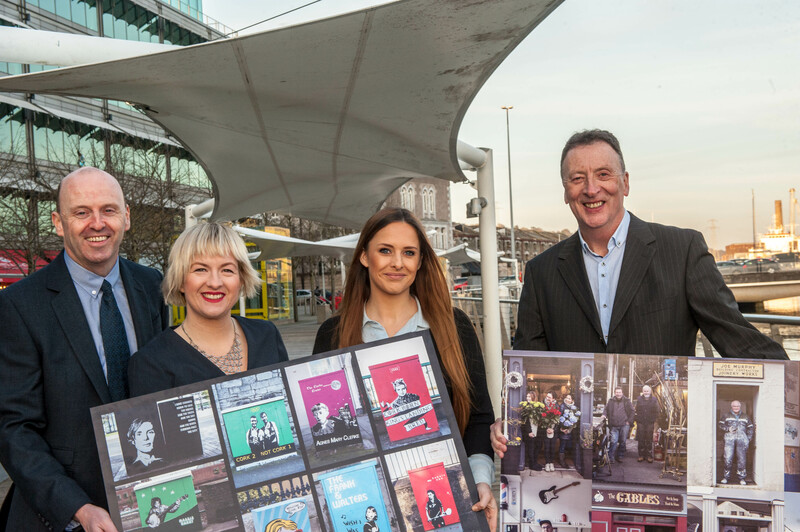 A new publication entitled “Cork City Revitalisation – People, Place, Progress” was launched this week, highlighting the collaborative work ongoing in the city centre by communities, traders, developers, businesses, the local authorities and other stakeholders through the partnership approach. Pictured at the “Cork City Centre Revitalisation – People, Place, Progress” showcase event and accompanying booklet launch are Paul McGuirk, City Centre Co-ordinator, Cork City Council, Event MC Deirdre O’Shaughnessy, Clara O’Neill representing the Victorian Quarter and Lawrence Owens, Cork Business Association. than €700 million of current investment in Cork city centre through a number of private and public developments. The event and accompanying booklet was co-ordinated by Cork City Council and the CORE Partnership which brings together Cork City Council, Cork Chamber, Cork Business Association, An Garda Siochana, Bus Eireann as well as representatives from the hospitality and retail sectors. There has been a 10% increase in jobs growth over 5 years in Cork, which now sees the number of jobs in the city centre totaling 79,000. Footfall in the city centre is increasing, more than 1,000 student bedspaces are under construction and up to a 30% increase in hotel rooms is proposed. Peter O’Meara of Savills, Eoin Kennedy, Zone Digital, Patrick Leader, Aaron Mansworth, Chair of the Irish Hotels Federation Cork Region, Victorian Quarter Clara O’Neill, Event MC Deirdre Shaughnessy, Justine Looney representing Douglas Street Business Association (South Parish Quarter), Cork Business Association’s Lawrence Owens, Lorcan Griffin and Paul McGuirk, Cork City Council. Showcasing the revitalisation of quarters and communities in the city, the event highlighted more than €700 million of current investment in Cork city centre through a number of private and public developments. The event and accompanying booklet was co-ordinated by Cork City Council and the CORE Partnership which brings together Cork City Council, Cork Chamber, Cork Business Association, An Garda Siochana, Bus Eireann as well as representatives from the hospitality and retail sectors. Other speakers at the event included Peter O’Meara of Savills Cork, Aaron Mansworth, Vice President of the Irish Hotels Federation, planner Clara O’Neill representing the Victorian Quarter and Justine McCarthy, florist, representing the Douglas Street Business Association, part of the South Parish Quarter among others.